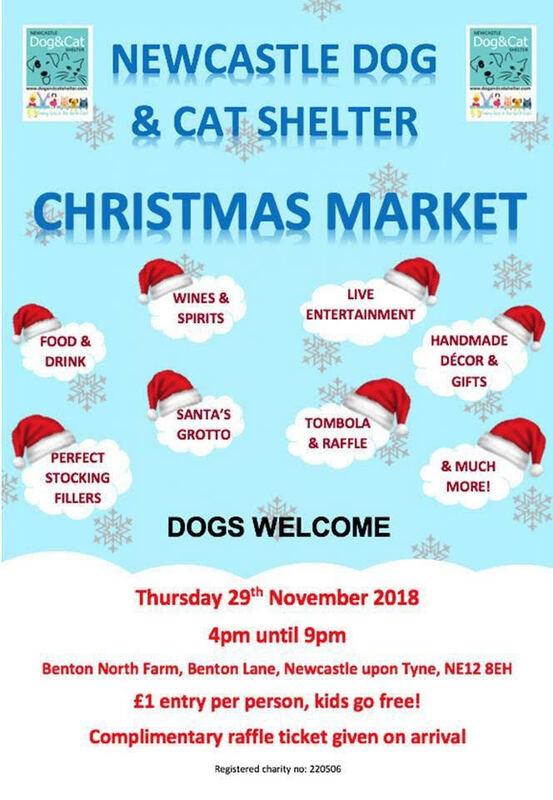 On Thursday 29th November, join us at the Newcastle Dog & Cat Shelter Christmas Market at Benton North Farm. Live entertainment, food and drink stalls, handmade crafts, Santa’s grotto and so much more, all for just £1 entry (children get in free). Dogs welcome!